The CPP/NPA statement that these surrenderors are not regular members is a defensive ditch on the snowball of surrender. These former rebels who opted to answer the government’s call for peace were processed and have undergone validation and verification. 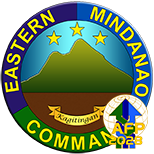 Since January 1, 2018, Eastern Mindanao Command (EMC) has recorded 315 surrenderors, wherein 17 of them are high ranking officers or leaders of the CPP/NPA Terrorist (CNTs). Among them is a former regional secretary in Far South Mindanao, former regional SDG (Sentro de Grabidad or fighting unit) commanders in Northern Mindanao and Surigao, a front secretary in Davao, and a number of platoons and team leaders. Last month, three high ranking leaders of an NPA Guerilla Front (GF) also surrendered; a certain alias “Arnold”, former vice commander of GF27 yielded to the 71st Infantry Battalion in Mawab, Compostela Valley on February 7; alias “Ara”, secretary of GF51 and alias “Neo”, staff officer of a sub-regional committee, both yielded to the Army’s 73rd Infantry Battalion in Davao Del Sur on February 1. In January, five leaders voluntarily surrendered to troops. Highest ranking leaders among them were deputy secretary of the FSMR, alias “Efren” and his wife, a former medical officer of FSMR, alias “Wendy”. They both surrendered to members of the Army’s 27th Infantry Battalion in South Cotabato on January 15. The finance officer and a team leader of GF51 also yielded to troops in Davao del Sur on January 10. 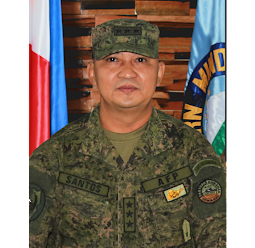 Then, a certain alias “Simon”, former vice team leader of GF71 of Far South Mindanao Region (FSMR) who surrendered on January 23 to the Army’s 73rd Infantry Battalion in Sarangani Province. The most recent surrender was on March 16, 2018, where five NPAs all members of GFC21, NEMRC surrendered in Brgy Bitaugan, San Miguel, Surigao del Sur. They were identified as alias “Bensio”, commander of a platoon of GFC21; alias “Benjack”, a vice squad leader, alias “Maria”; a political officer; and two other regular members. They brought with them four AK47 rifles during their surrender. Similarly, a former NPA squad leader in Northeastern Mindanao, alias “Jemar”, yielded to troops of the Philippine Army’s 36th Infantry Battalion bringing along nine improvised explosive devices at Headquarters 36IB in Tago, Surigao del Sur on March 11. While another leader who surrendered in March was “Ka Tukay”, a former sub-commander of GF72 based in Sultan Kudarat. He turned himself to Columbio Municipal Police Office on March 3. As of this date, EMC has also accounted 421 surrenderors who were members of the Militiang Bayan, 229 members of the Sangay ng Partido sa Lokalidad, and 2,216 members of the underground mass organization who withdrew their support to the NPA organization. From January this year alone, these surrenderors turned-in a total of 90 high powered and 75 low powered firearms, wherein eleven were AK47 rifles, a known NPA firearm. These huge numbers of firearms came from their regular members. The spike in the number of CNT who are surrendering is attributed due to the government’s sincere efforts in helping former rebels reintegrate to their communities and families, particularly through the joint efforts of the local government units, the AFP and the PNP. This is also attributed through the purposive community support program being implemented in the Geographically Isolated and Disadvantageous Areas (GIDA) by our troops with the different local government units, and are strongly supported by the different national government agencies and other stakeholders. Further, being popular in all strata and sectors of the country, the call of the President for the NPA to surrender reverberates and continuously sinks into the minds of the rebels which greatly contributed to the escalation of surrender. 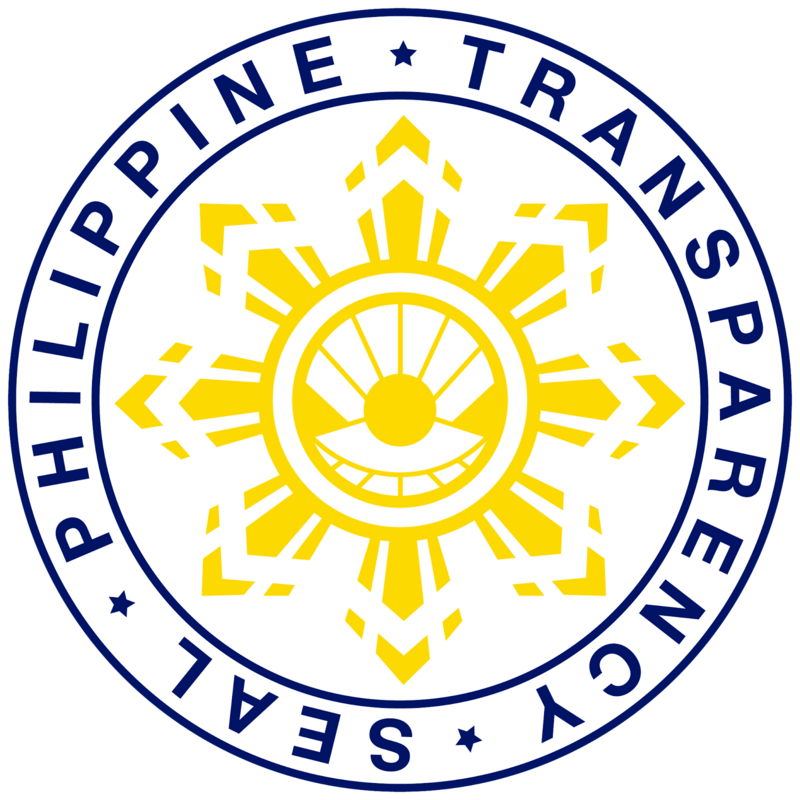 The LGUs and Local Chief Executives, particularly in Compostela can attest to the authenticity and veracity of the snowball of surrenderors. 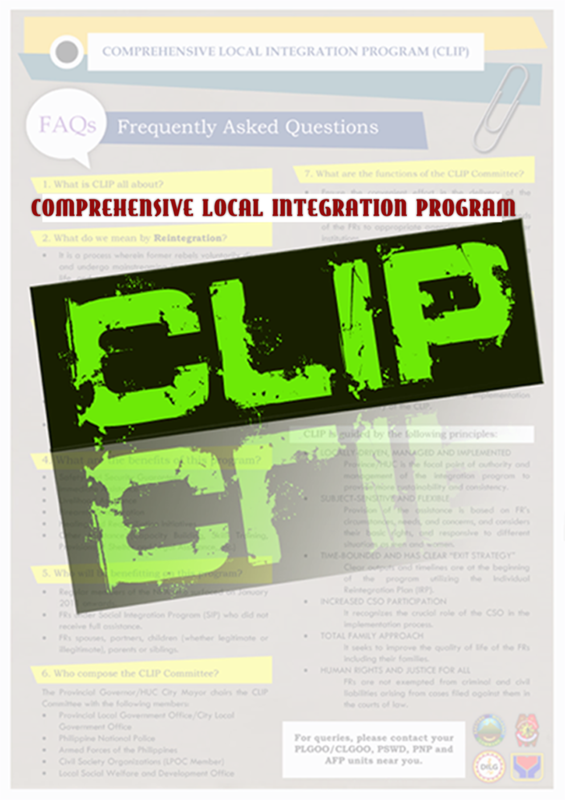 The Comprehensive Localized Integration Program (CLIP) which includes financial assistance is being managed by DILG and not the AFP, while the other relief assistance being given to them is an inter-agency effort. The CPP/NPA should apologize to the people whom they have deceived and placed lives and their families in danger because of deception.